We offer a variety of heat press embellishment including sequins, vinyls, and rhinestones. Our skilled operators use state-of-the-art technology for quick-turn production with the highest quality available. Folding and packaging can be tailored to your specifications, ensuring that your product arrives ready for display. 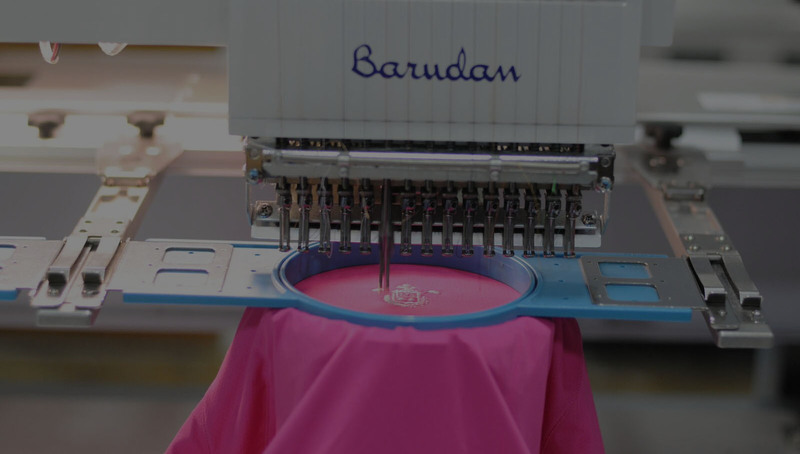 Ready to talk to an embroidery specialist about your next project? © Crown Manufacturing. All rights reserved. | Site by Valeo Online Marketing.